Amara Beverage Co. is re-engineering sports hydration from the ground up, creating the world’s first raw, unpasteurized, all-natural sports drink. Their proprietary blend of raw fruit, organic agave nectar, and caffeine sourced from the CoffeeBerry® provide an energy boost and recovery aid for health-conscious fitness enthusiasts. In the last few months, sales of Amara have grown 280%. Amara beverages are now available in Whole Foods throughout California and the team has secured agreements with nearly 300 Sprouts locations. They are also an Official Vendor at the Crossfit Games, helping athletes power up as they compete. 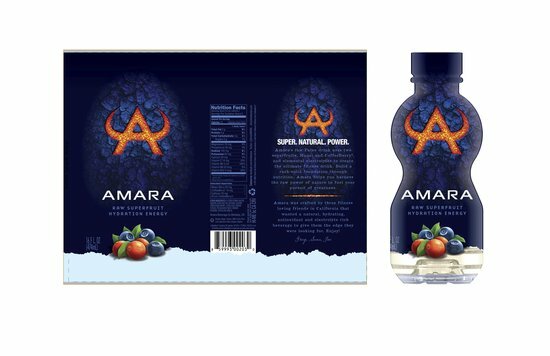 Amara has established a strong partnership with 7UP Bottling—enabling large-scale production—and has exclusive rights to sell CoffeeBerry® drinks in gyms and natural foods stores. The team is in the process of further expanding production and distribution capabilities in order to meet rising demand. They are looking for strategic investors to help fuel their continued growth.